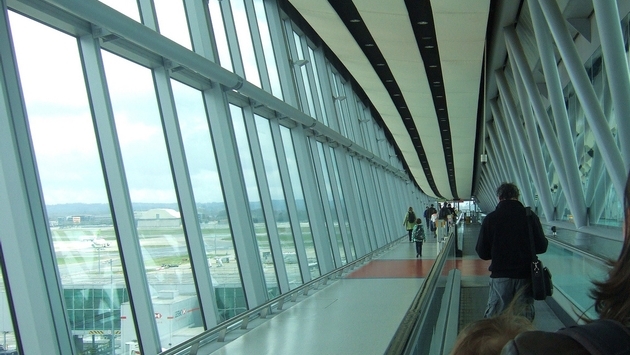 London's Gatwick Airport is pioneering technology designed to make navigating busy airports easier than ever. In an airport world-first, Gatwick has confirmed the installation of 2,000 beacons throughout its two terminals. The beacon-based positioning operation provides for a more reliable indoor navigation system compared to GPS-based services like Google Maps that rely on satellites. The new system allows travelers to access augmented reality through the camera on their mobile devices. The wayfinding tool can quickly direct passengers to where they need to go, including check-in areas, departure gates and baggage belts. The airport doesn't collect any personal data from users but will track generic information like "people densities" in an effort to improve airport operations in the future. The service is being managed by PointrLabs. "Gatwick Airport will be the first airport with an end-to-end working system with incredible accuracy both in terms of blue-dot location and orientation," the company's CMO Axel Katalan said in a statement. Currently, the navigation system is being integrated into some of the airport's apps. The next step could be for airlines to enable the tool on their respective apps as well. Gatwick could also partner with retailers and other third parties to use the beacon system to detect passengers' proximity and send them relevant offers if they have chosen to receive them. 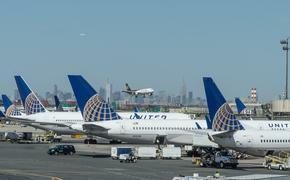 "By providing the infrastructure we're opening the door for a wide range of tech savvy airport providers, including our airlines and retailers, to launch new real-time services that can help passengers find their way around the airport, avoid missing flights or receive timely offers that might save them money," the airport's head of IT commercial and innovation Abhi Chacko said in a statement. "We are proud to be the first airport to deploy augmented reality technology and we hope that our adoption of this facility influences other airports and transport providers so that it eventually becomes the norm." Delta rolled out a similar feature earlier this year on the latest version of its Fly Delta app, introducing fully integrated airport wayfinding maps for 20 major airports around the world. The new beacon-based positioning system at Gatwick is part of a broader £2.5 billion ($3.24 billion) program to transform the airport. The airport currently serves approximately 44 million passengers each year and set a world record for single runway airports by serving a total of 40.3 million passengers during 2015.